Pembroke Hall East and West were the fourth and fifth in the order of opening Bryn Mawr College. Like the other halls they are built of gray stone. The central tower, containing the dining hall, kitchens, and servants’ quarters common to both halls, forms the main carriage entrance of the college. Pembroke West, which opened in February, 1894, provides accommodation for sixty-six students and is under the charge of a resident warden, Miss Martha Gibbons Thomas. 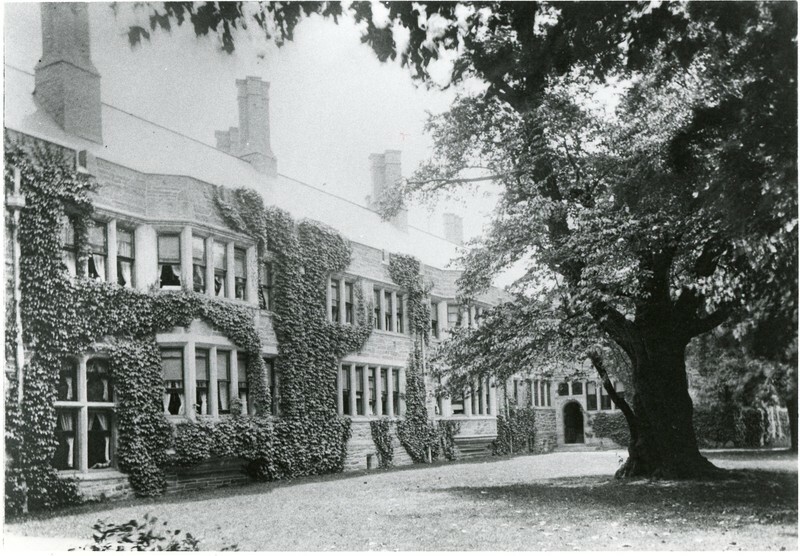 Pembroke East, which was opened in the autumn of 1894, provides accommodation for sixty-nine students, and is also under the charge of Miss Martha Gibbons. 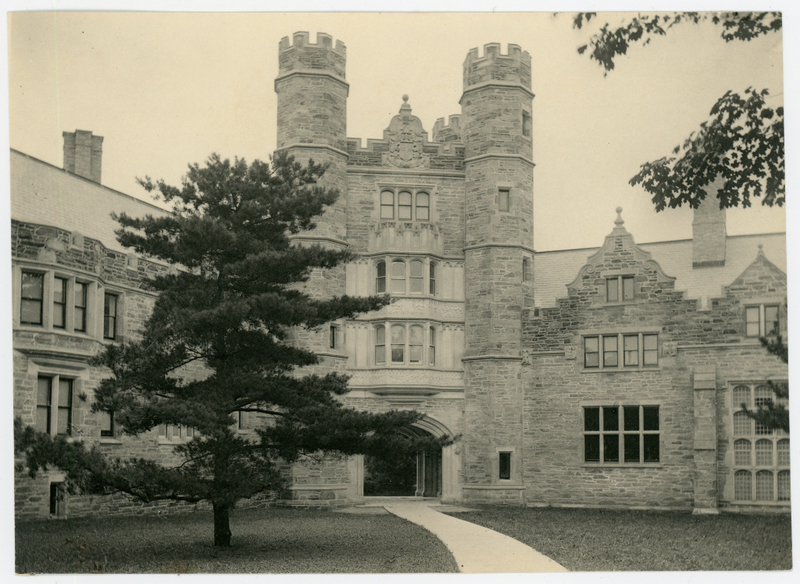 Rockefeller Hall, the gift of Mr. John D. Rockefeller, opened in April, 1904, is the sixth in the order of opening of the halls of residence of Bryn Mawr College; it is built of gray stone and is of fire-proof construction. It adjoins Pembroke Hall West, and its central tower, known as the owl gate, forms the permanent entrance to the college for foot passengers. It provides accommodation for seventy-nine students and is under the charge of a resident wardern, Miss Mary Sheppard. It contains thirty-six single rooms of different sizes, thirty-nine single suites comprising a sitting-room and bedroom for a single student and two sets of three rooms, a sitting-room and two bedrooms to be occupied by two students, There are stationary washstands with hot and cold water in every bedroom. There are open fire-places in all the studies and in many single rooms.